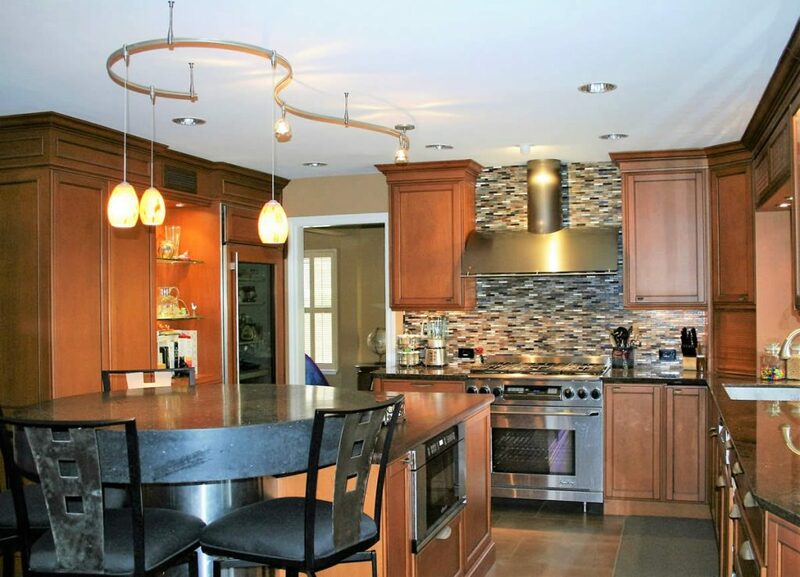 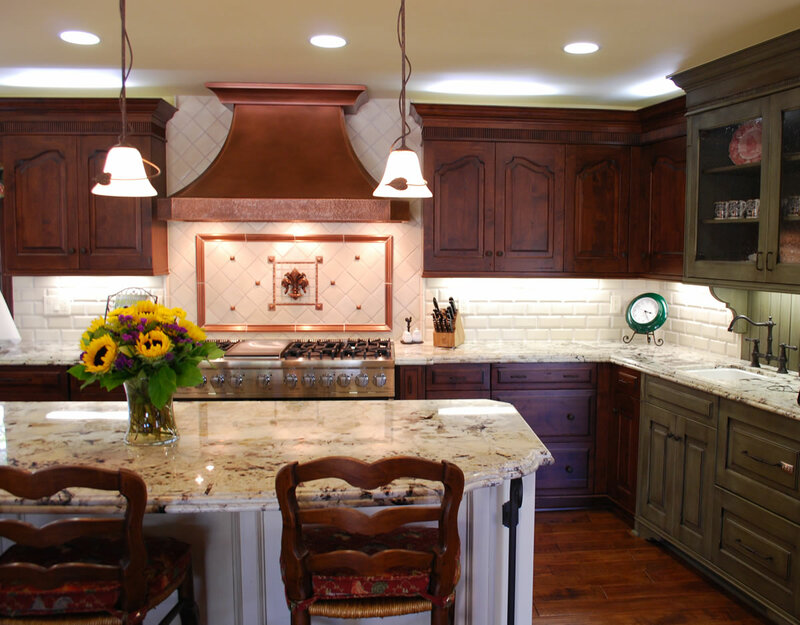 Cowan Heights Kitchen Remodeling | Le Gourmet Kitchen Ltd. 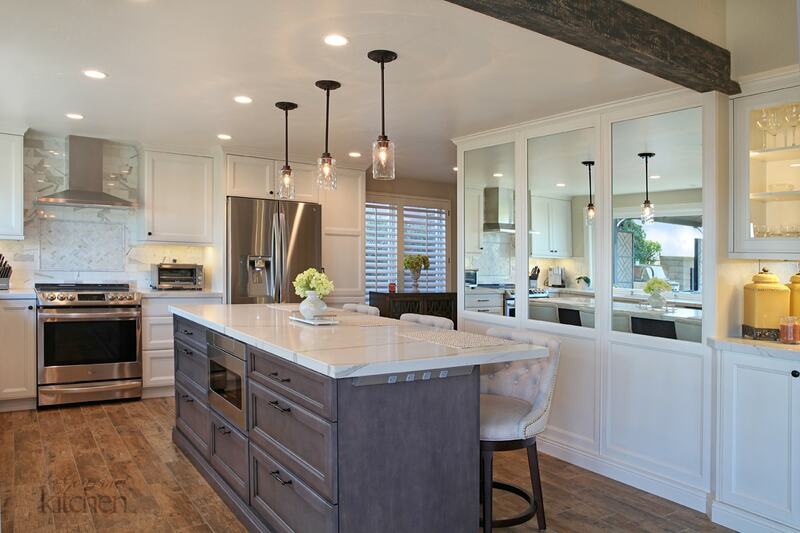 Located in Cowan Heights, this kitchen remodel is designed by Jonathan Salmon. 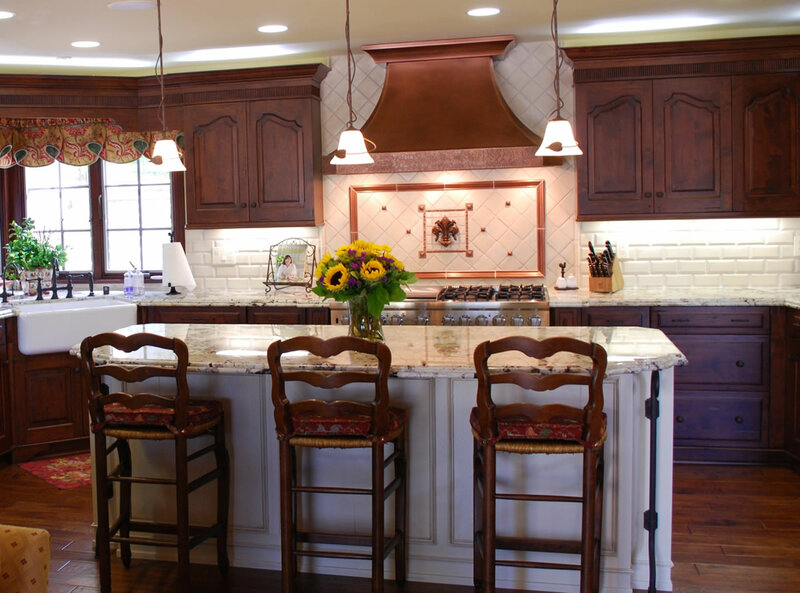 It is a beautiful traditional kitchen with a fun colorful spin. 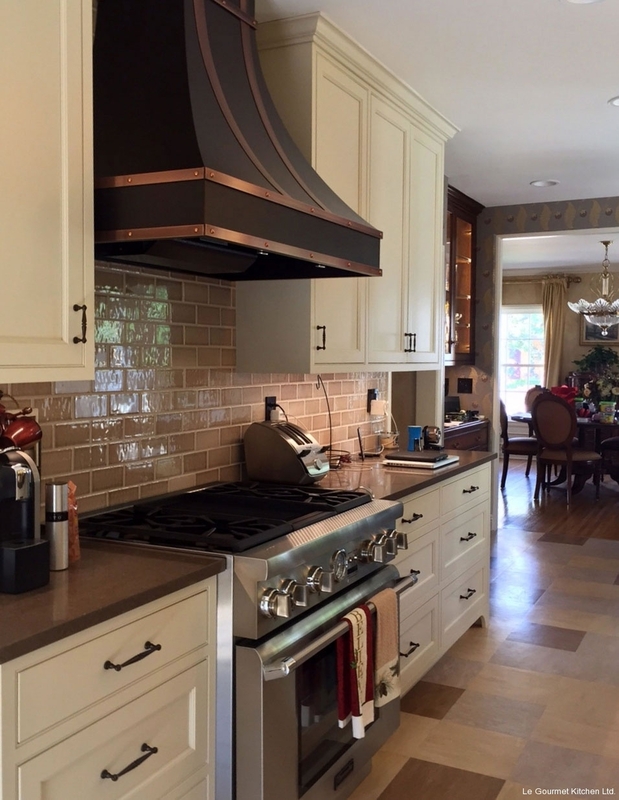 The custom Bentwood cabinets are a mix of Burnished Copper on Alder and custom glazed moss colored finish. 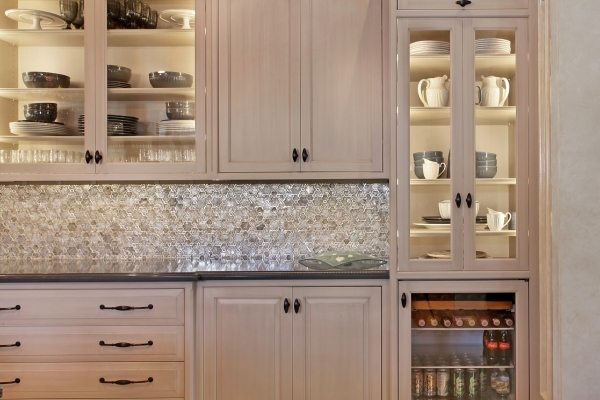 The glass panes on the cabinets open the room to appear larger. 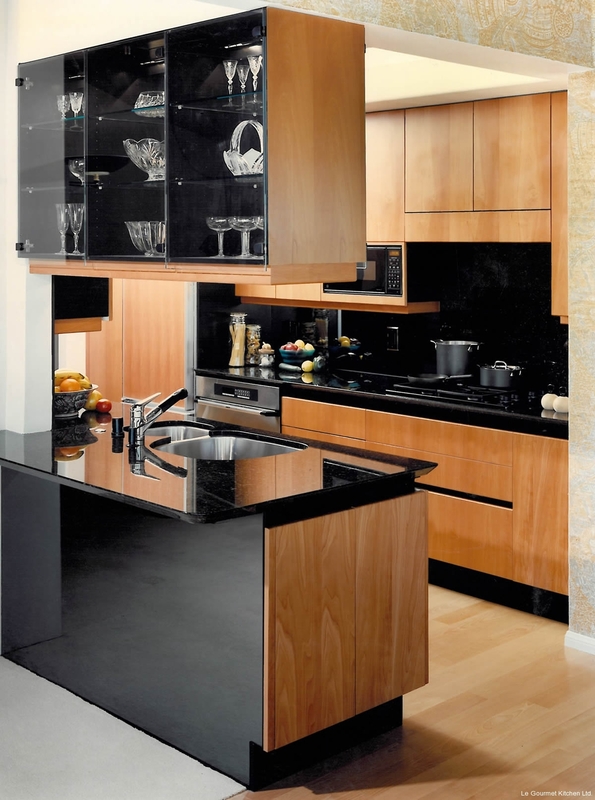 Additionally, the green mossy finish on the cabinets brings a fun, playful element into the design of the kitchen. 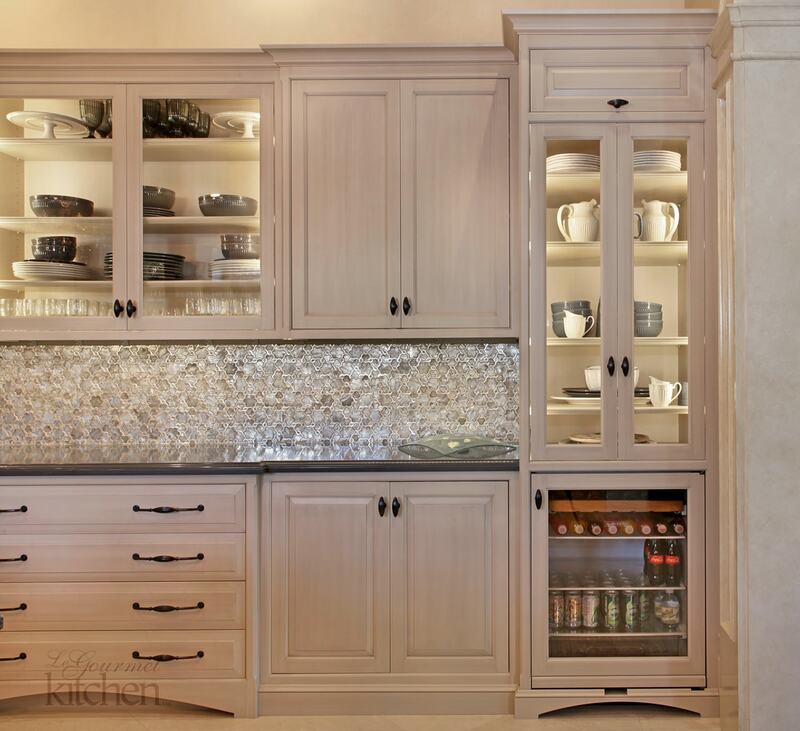 The Sub Zero fridge is integrated into the kitchen by using the same finish as the cabinets. The island provides an easy workspace for prepping and serving meals. 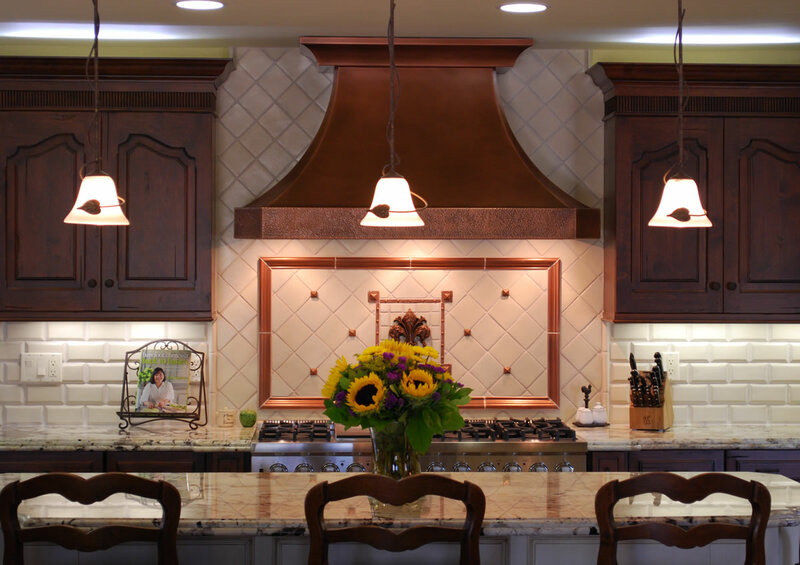 Above the Thermadoor range is a custom hammered copper hood that really ties the room together. 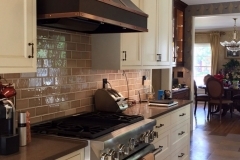 The designer used Bevelle subway tiles for the back splash, as well as a custom design behind the range. 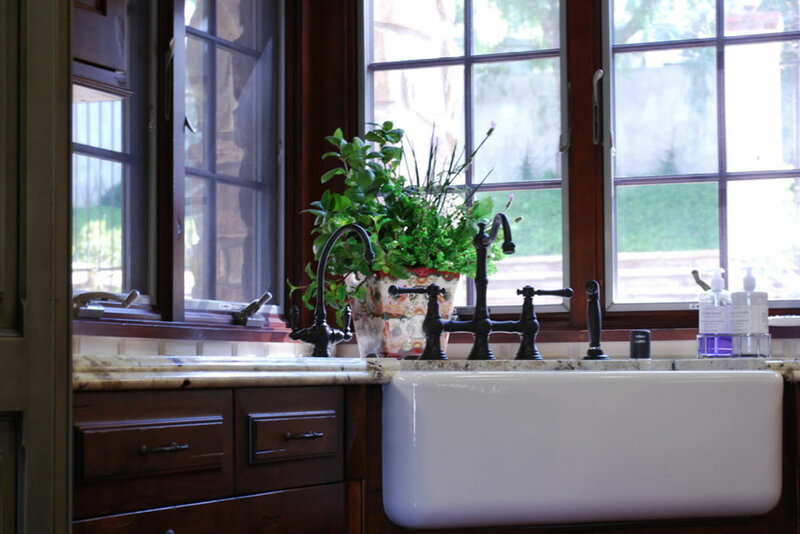 The Shaw farmhouse sink blends in well with the Santa Cecilia granite countertop and copper tones used throughout the kitchen. 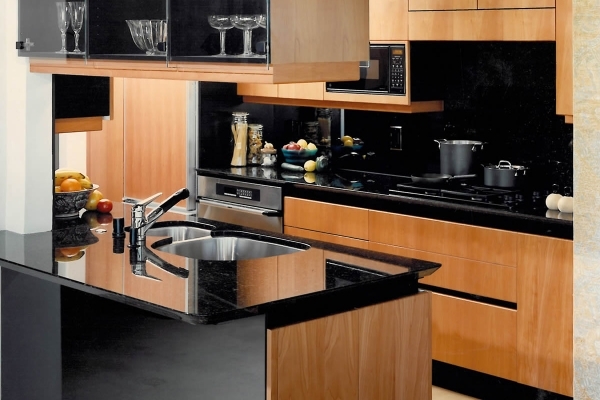 There is an additional sink that allows are client more space to prep while cooking. 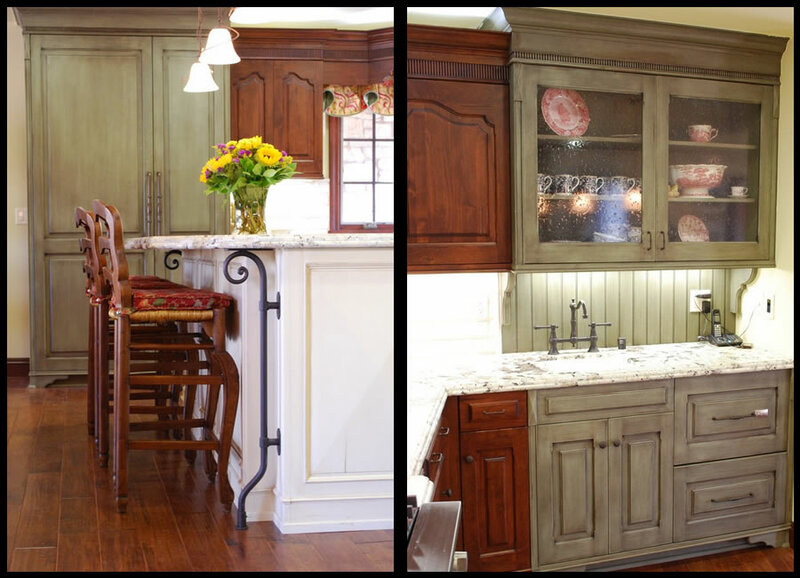 This island also has a wrought iron support detail that makes this island unique to this kitchen.